Located in a prime residential area on the outskirts of Limassol, comprising modern 2 and 3 bedroom villas on large plots. • Contemporary architectural design combining external use of stone, built to the highest specifications. 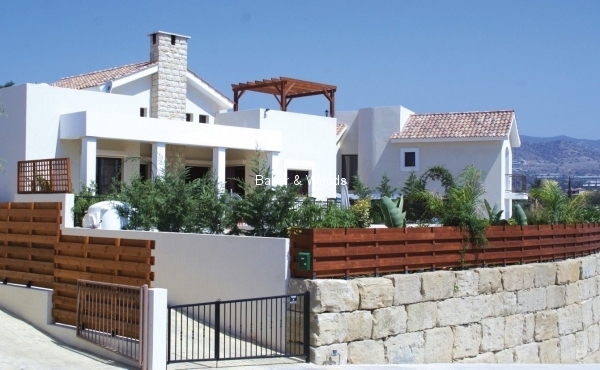 • Gated properties for added privacy and security, Private swimming pools and roof gardens. • Close to amenities, services and picturesque villages with variety of services. • Not far from Limassol's renowned 'Governors' and 'St. George' beaches with organised water sports facilitiest.